Koi Nahi Apna was a famous Pakistani family drama. The drama was airing on Ary Digital every Wednesday at 8:00 pm. Koi Nahi Apna was directed by Badar Mehmood and while the story was written by Sana Fahad. 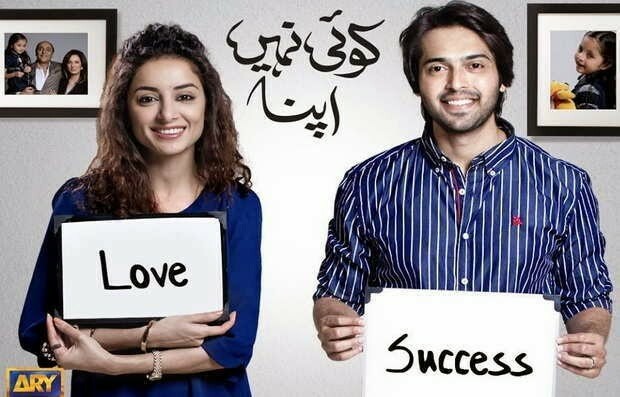 The drama is starring Fahad Mustafa, Sarwat Gilani, Sajid Hasan, Maheen Rizvi, Ismat Zaidi, Maryam, Salma Hasan and more in leading role. Koi Nahi Apna is a story of a once happy couple, torn apart by the pressures of daily life, their once perfect family is destroyed by distrust and suspicion.